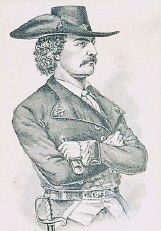 Jean Laffite first appeared in New Orleans in 1803, but where was he born? Marseilles, Bordeaux, St. Domingue? No one knows, because he told different stories to different people. He was the son of aristocrats guillotined during the French Revolution. He fled the slave revolts on the island of Haiti. Yet his instinctive familiarity with the marshes and bayous from New Orleans to the Gulf of Mexico and his ability to converse in French, Spanish, English, or Italian suggest that he grew up in the region where he plied his trade. In 1803 New Orleans became part of the United States, but it was settled by the French, sold to the Spanish, and then returned to the French before Napoleon sold the territory to Thomas Jefferson. In spite of these changes, New Orleans retained its French customs and language. Americans, including the new governor -- William C. C. Claiborne -- were not welcomed, partly because they considered the citizens of New Orleans to be lazy and lawless. They were aghast at the Creoles' toleration of smuggling, which hindered merchant trade. Things came to a head between Claiborne and Laffite in 1813 when the governor issued a $500 reward for the privateer's arrest. Within a week of the posting of those notices, new wanted posters appeared, offering $1,000 to anyone who delivered Governor Claiborne to Barataria. They were signed, Jean Laffite. Barataria lies on the Gulf of Mexico about 100 miles south of New Orleans. It was home to buccaneers and fishermen, but Jean Laffite organized them into a company of privateers and smugglers. He built a house, cottages, warehouses, barracoons (stockades that held slaves awaiting auction), a cafe, gambling den, and brothel. His men numbered one thousand, came from many countries, and included navigators, gunners, carpenters, cooks, sailmakers, and riggers. He devised laws to protect the men and their women from lawless rampages. Retribution was swift: cast adrift for molesting a woman, hanged for murdering a Baratarian. He prized the American Constitution, believing in its freedoms. He prohibited his men from attacking American ships, naming death the penalty for violation of this rule. His ships sailed under letters of marque from Cartagena, a republic of Columbia fighting for its independence from Spain. (A letter of marque allowed privateers to legally plunder ships of the country at war with the country who issued the letter of marque. 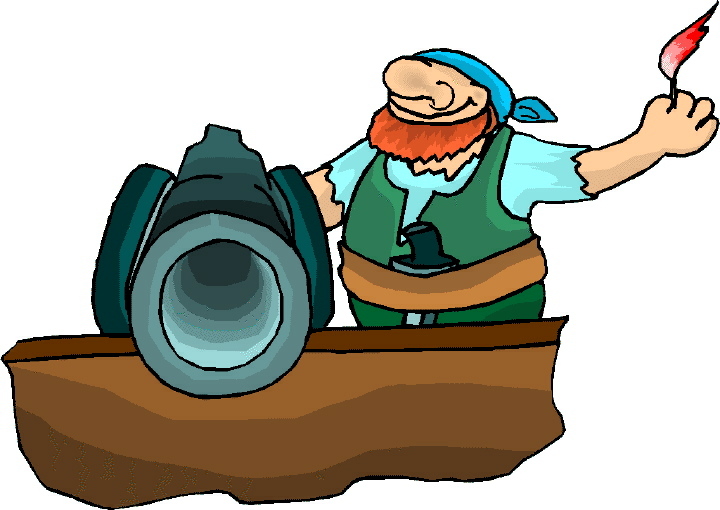 Pirates attacked any ship without this legal document.) They plundered cargoes of Spanish and English ships for slaves, silks, spices, jewels, furniture, household goods, art, food, and medicines. Two years after the United States declared war on England in 1812, a boat was lowered from HMS Sophia and sailed into Barataria under a white flag. Aboard were two British officers, Captain Lockyer and Captain McWilliams. They sought Laffite's help in infiltrating the bayous and capturing New Orleans. They offered him land, gold, and a commission in the Royal Navy. Laffite told them he would give them his answer in two weeks, but once the officers returned to their ship, he forwarded the letters to Governor Claiborne. The governor believed in the authenticity of the letters and sought to postpone a planned naval assault on the smuggling enclave, but the majority of his council voted to carry out the attack as planned. While Jean waited for the governor's response, more ships appeared off Barataria. Since they flew the American flag, the Bartarians greeted them with enthusiasm, but the Americans destroyed Laffite's fleet and stronghold, then captured fifty of the smugglers, including Dominique Youx. In spite of this, Laffite sought out Andrew Jackson, the Tennessee soldier who came to protect New Orleans. Although initially against any offer from the "hellish banditti," Jackson reassessed his decision after Laffite offered him two things he desperately needed: 7,500 flints with powder and 1,000 fighting men. Although the Battle of New Orleans was fought after the treaty to end the war was signed (but not ratified), there was little doubt the British would have captured New Orleans had Laffite and his men not fought under Jackson. The two batteries manned by Baratarians cut large swathes in the enemy's ranks. British casualties were enormous, but Jackson lost only thirteen men. President Madison pardoned Laffite and his men for their bravery. Therein lies the final mystery of Jean Laffite. What happened to him? Did he die of fever in the Yucatan? Was he killed fighting pirates while at sea? Did he retire and raise a family, then die a quiet death in Illinois? No one knows. In death Jean Laffite continued to be what he'd been all his life -- a legendary enigma. For more information on Jean Laffite, visit The Laffite Society. For information on the Battle of New Orleans, visit The Battle of New Orleans.